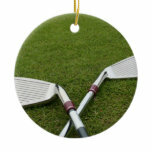 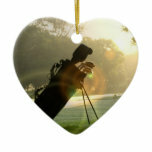 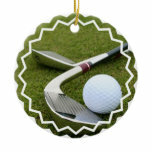 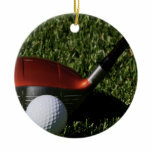 Golf ball and golf club ornament. 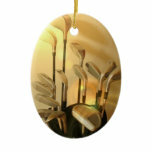 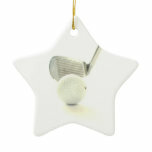 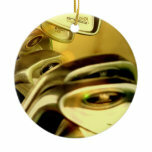 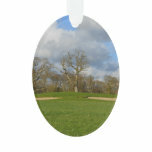 Golf iron and golf ball ornament. 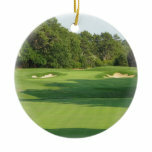 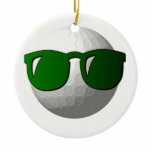 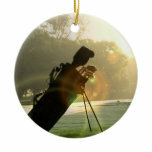 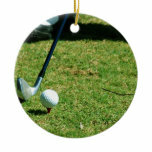 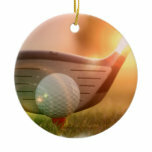 Cool golf ball with shades ornament. 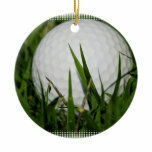 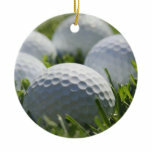 Golf balls on a golf course ornament.